Hey everyone! I'm very excited to be a part of the Fractured Soul by Rachel McClellan blog tour today. I have been excited about this post since I asked Rachel to be a stop on the blog tour and she said, YES. I met Rachel a year ago and she was a ton of fun to talk to and very humble about her book. I told her, "It's a good sign when your first book is published in hardcover." That is what I think anyways, I'm not saying only good books get published in hardcover, because that isn't the case. I have read some fantastic books that were paperback and even only available in ebook at the time. Now she has another book published, so she is definitely doing something right. 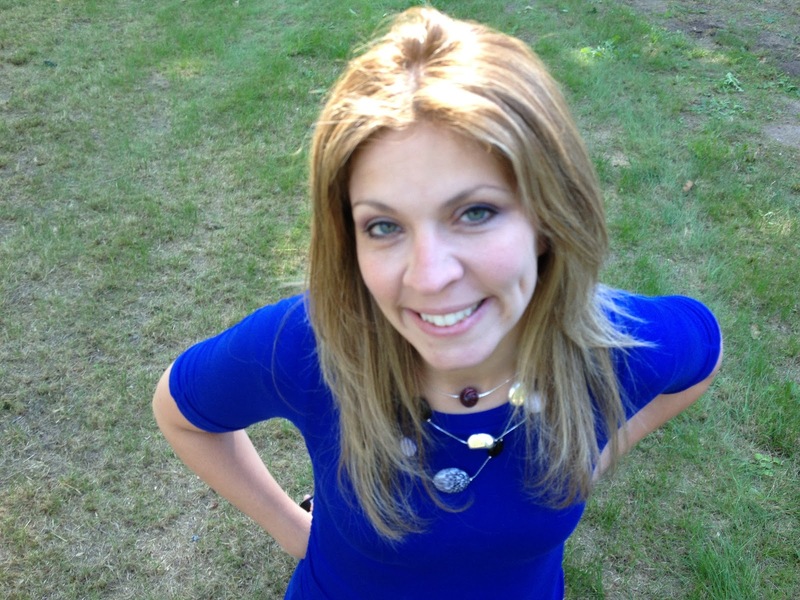 I love her books, which you will hear about in my reviews. 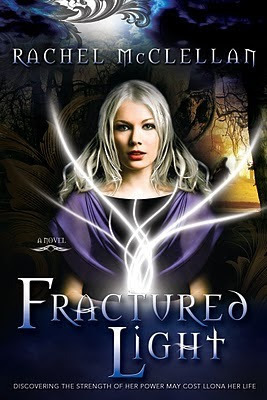 For the blog tour I did a review for Fractured Soul, but I also provided my review for Fractured Light. I hope you all like the reviews and become interested in the books! I'm excited to feature them today and spread the word. The Publisher & Author are also generously giving away a copy of Fractured Soul at this stop, so be sure to enter at the end of this post. Thank you to everyone who reads this post and a huge thank you to Rachel McClellan for having me on this tour. Llona graduated high school and decided to go to Lucent Academy, the school with people like her that she had fought going to. After recent events, she decided to go there with May to learn more about her powers and how to use them. The school is supposed to be safe, but Llona soon found out that was not the case. An evil plot was unfolding, and it was up to Llona and her friends to stop it. My first thought after finishing the book was WOW. I just finished, and I’m reeling with emotions. I loved this book. I really loved the first book, but I loved this one even more. This one was packed full of action and Llona struggling through a lot of bad stuff. I don’t want to give anything away, but this book was killer. Both books have made my heart sad, and I’m still having a hard time believing what happened in this one. If she hadn’t done such an awesome job making the book so gripping that I couldn’t let go of my Kindle, I may have thrown it. The author does a fantastic job at making it so you can’t put the book down. The end of each chapter is a cliffhanger and the only thing you can do is jump off the cliff to find out what will happen next. I really like how she does this. This was a very fast read and was an exciting journey every step of the way. The ending of this book seriously killed me, and the sneak peek of the next book made it worse. I can’t wait to get my hands on the next book. I’m not sure how I’m going to wait for it. I’m going a little crazy right now. This is a fantastic series that I will be continuing until the end. I received this book from the author for review for her blog tour. I also received it from Netgalley after she sent it to me. Thank you both very much; I greatly enjoyed it and can’t wait for more. 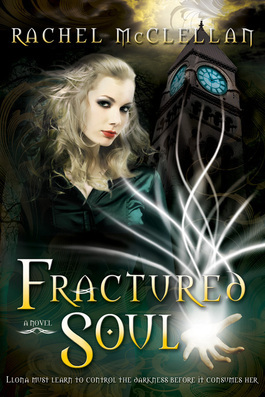 The author and publisher are generously providing a copy of Fractured Soul for a giveaway. The giveaway is US only, sorry international followers and readers. This is a fantastic book to win, I would like to enter! Can I enter my own giveaway? Enter to win by using the rafflecopter form below. I only require that you are a follower of my blog to win, everything else is optional. These sound great! Awesome post and reviews! I know how much you enjoyed these books, so I'm certain I will, too! Thank you for sharing and for the giveaway, love! Thanks for the nice long post. It seems that Rachel is doing many things right to have garnered such a true fan. You have made me interested in her books with your enthusiasm. Thanks for doing that and thanks for the giveaway, too.